Demand for natural gas imports to the EU is expected to grow considerably by 2020, Deputy Economy and Energy Minister Galina Tosheva told the Energy Committee in Parliament on Wednesday. Europe uses some 520,000 million cubic metres of natural gas annually, including 200,000 million cub m from European sources and 320,000 million cu m from imports. By 2020, Europe's resources will be depleted while consumption will increase considerably, BTA reports. Tosheva presented to the Committee the Nabucco and South Stream projects to build gas pipelines via Bulgaria. Bulgargaz Executive Director Dimiter Gogov said the addition of a sixth participant in the Nabucco project does not change its parameters. The construction of the gas pipeline is expected to start in 2009. Some 1,500 million cu m of gas are to be directed to the Bulgarian market, Gogov said. Nabucco will carry gas from the Caspian region and Iran, but there is also a possibility that it will transport gas from Egypt as well, Gogov said. 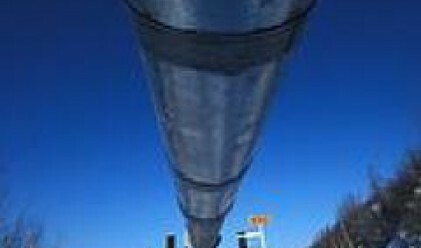 The South Stream project will offer an additional route to carry gas from Russia to Southeastern Europe, said Tosheva. There are two possible routes: via Serbia and Austria or via Greece, she said. Tosheva recalled that the rights to the pipeline which will pass via Bulgaria are divided between Bulgaria and Russia on a parity basis. The construction of the pipeline will take 24 months.